In 2013, the UEFA Champions League Final is not the only event coming to Wembley Stadium. 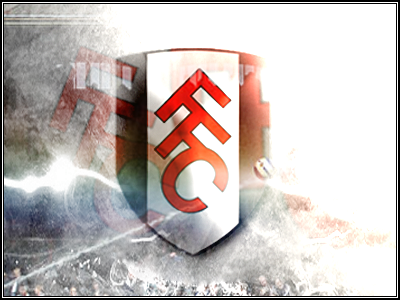 The inaugural International Stadiums Poker Tour event is foreseen to take place at Wembley during the month of May. The Format is extremely ambitious and sees a planned 30,000 players competing from stadium seats on laptops provided by the organisers and then the final rounds taking place on the hallowed turf. Poker continues to try and find unique ways of attracting players and TV coverage and indeed the organisers have really pushed the boat out with this event, signing up high profile ambassadors like Sam Trickett and investing a lot of money into glossy advertising. I have concerns that this event will take place as planned, if at all however. The number of players currently registered barely top three thousand, some twenty seven thousand short of target with only a few months left to go. The concept whilst interesting does present challenges. First and foremost is the English weather, if it rains during the tournament it could be a complete washout. The issues of collusion is another concern. Usually in qualifying poker tournaments, players are competing from their home computer. With the ISPT there are going to be players sitting adjacent to each other which opens up the possibility of collusion on a grand scale. An additional problem is the comfort factor; Poker players are used to playing in comfortable surroundings, food and service on call at all times.- Transport this to an uncomfortable outdoor football stadium seat and its not going to be an enjoyable experience, aside from the quality of dining at Wembley compared to a top hotel casino in Las Vegas. Having had experience of organising a major tournament that is new to the market (Backgammon Million) i know what it takes to ensure the event is constantly promoted. The ISPT website links to its Facebook site do not work and the last Twitter post was some four weeks ago. The hotel booking page is in French which will confuse may of the targeted US players when planning their trip. A lot of work is still required to drum up a huge number of registrations.Players that have attached their name to the event will be also hoping the event is a success but at present i don't hold out much hope. 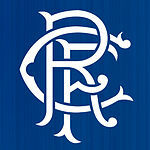 Rangers FC has today confirmed Bet Butler as its Official Betting Partner for Season 2012/13. Licensed by the UK Gambling Commission, Bet Butler's unique bet broker service gives punters access to the best sporting odds from the world's leading bookmakers via a single account. 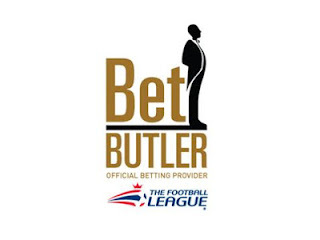 The Bet Butler service at www.betbutler.co.uk scours the web to source odds from more than 60 international bookmakers, providing real-time comparison of the latest prices and guaranteeing the very best odds – on average 20% better than a typical bookmaker. Five years of constant development have placed Bet Butler's proprietary bet management and brokering systems at the forefront in the industry. Bet Butler is also the Official Betting Partners of English Premier League sides Newcastle, Sunderland and Fulham, as well as the English Football League. Charles Green, Rangers Chief Executive, said: "This deal with Bet Butler will deliver real value for our fans this season by guaranteeing them the best odds on every bet. "This season's partnership can deliver results for both Bet Butler and Rangers Football Club." David Evans, spokesperson for Bet Butler, added: "As we continue to build high-profile partnerships in Scottish football, it's great to be playing a part in the rebirth of Rangers Football Club. "We will be working closely with the club to offer a betting product that is tailored to the needs of all Rangers fans." Recent press reports suggest that UEFA are considering a merger of the current Champions League and Europa League formats. The competitions have gone through a fair bit of change over the years. When the Champions League was created in 1992 it was consisting of only 8 teams in its first year, all of those teams being Champions and represented in the UK by Leeds United who went on to the semi finals that year. Alongside the Champions League was the Cup Winners Cup and the UEFA Cup. Three competitions that eventually produced an expanded Champions League, the disbanding of the Cup Winners Cup , and then the rebranding of the UEFA Cup into what is now known as the Europa League. The problem i have had with the expanded Champions League format is that the competition has actually moved along way from being a League of Champions.As demand from TV companies in the early years for guaranteed participation of top teams grew, UEFA modified the competition allowing up to the top 4 teams from the key "TV" markets to qualify, producing an expanded format with 32 teams, 2 qualifying stages and greater revenue for the clubs. The Europa League meantime was designed to create a Champions League "marque2" and has done well to secure big name sponsors in its short existence with SEAT cars and Western Union. The Europa League none the less has its place and fans understand its second tier European football. If UEFA are serious about plans to merge the two competitions into a super European format then i think this comes with huge problems for UEFA. It will mean extended group stage formats that create tedium during the drawn out fixture list and it will devalue the entire format in the minds of fans and TV companies. IN many ways it is verging towards the European League that has been mooted for many years. Time and time again the clubs know this is not the right format - Man Utd versus Barcelona once every few months is a fantastic night of European football but played every other week then it loses its spark. I think UEFA should be going back in time to find the right format. The most memorable games and fan excitement comes from knock out football, when everything rests on single match formats. This is unlikely to happen because it wont keep the TV companies happy or keep the revenue flowing but merging the current competitions - at what cost UEFA? SMG have brokered an agreement for Betbutler to be the exclusive betting partner of the world's only sports business social network isportconnect.com. Following on from other high profile sports sponsorship deals arranged by Sports Media Gaming, the deal cements Betbutler as the preferred betting and gaming partner of the sports business community. The Football League has agreed a partnership with concierge betting service Bet Butler, which will see the company become the 'Official Betting and Gaming Provider of The Football League’ in a two-year deal. The sponsorship agreement will see a share of the money bet on Football League matches go towards participating clubs, which means over 80 teams will benefit when a fan places a bet. Bet Butler offers fans the best available odds from more than 60 different bookmakers. 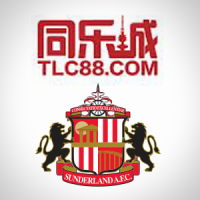 Sunderland Football Club (SAFC) has announced TLC88.com as the club’s official Asian betting and gaming partner.The initial two year deal will offer Black Cats supporters across Asia a range of online activities including football betting on games in the Barclays Premier League in a deal with one of the continent’s largest online gaming companies. Sports Media Gaming are pleased to announce two betting sponsorships in advance of several sponsorship deals the agency has brokered that will shortly be announced. 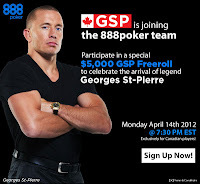 Firstly SMG introduced 888.com in Canada to be an official sponsor of UFC superstar and 2x Canadian sports personality of the year Georges St Pierre. The deal sees 888.com joining other high profile sponsors such as Affliction clothing, Under Armour and Mission Skin Care. The agreement was brokered in conjunction with CAA Sports in New York. Secondly SMG have recently introduced Bet at Home to be the exclusive integrated betting partner of leading football portal Givemefootball.com. The deal started on 1 June and sees Bet at Home integrated into all of the sites news portals. SMG will be announcing several sponsorships over the next few weeks which will be announced right here. Welcome to the my blog. Here i will be writing blogs on everything to do with international sports marketing and the global betting and gaming business...and additional subjects as i see fit. After 25 years working in these industries, i come with relevant and strong opinions, of which i look forward to feedback and dialogue.